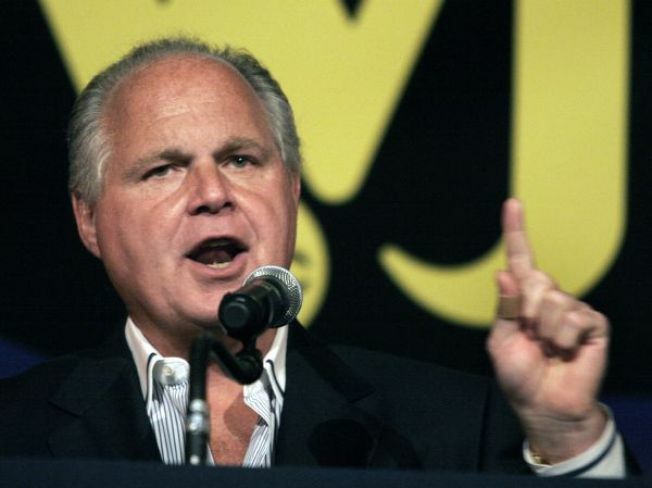 Rush Limbaugh won't let his recent heart scare stop him from judging the 2010 Miss America Pageant. The conservative radio host, who thought he was having a heart attack while vacationing in Hawaii last month, will be one of the six judges at the beauty and talent contest in Las Vegas Saturday night. Limbaugh, 59, who discussed the contest and his recent health scare while in Las Vegas, said he's never experienced those kinds of pains before. He still doesn't know what to make of it, People magazine reported. "We still don't know what it was that happened," Limbaugh said. An angiogram didn't reveal any problems, but doctors think an infection may have triggered a spasm and caused the pain in his chest. The pain, which Limbaugh said felt like "the big one," happened in December, when the talk show host was vacationing near where President Obama and the First Family were staying. Seeing so many beautiful women might make any man's heart race, but Limbaugh said he's fine now, and ready to help find Miss America. "This is not about finding Miss Conservative. I've already done that," referring to his fianceé, West Palm Beach party planner Kathryn Rogers. Other judges for the pageant include celebrities Vivica A. Fox, Paul Rodriguez and Dave Koz. The 2010 Miss America Pageant will air on TLC Saturday night at 8 p.m ET.